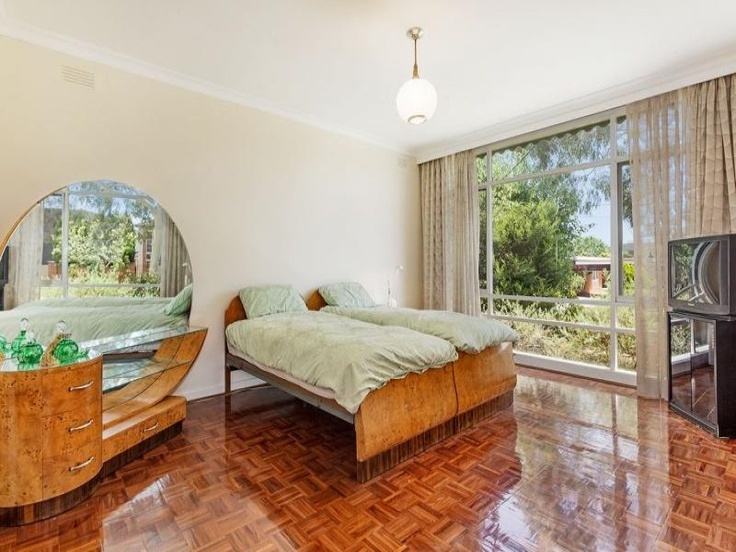 Quite often you will find an amazing MCM home like this that is in such stunning original condition that you are taken back in time! Look out, I’m beginning to sound a little like a realestate agent! 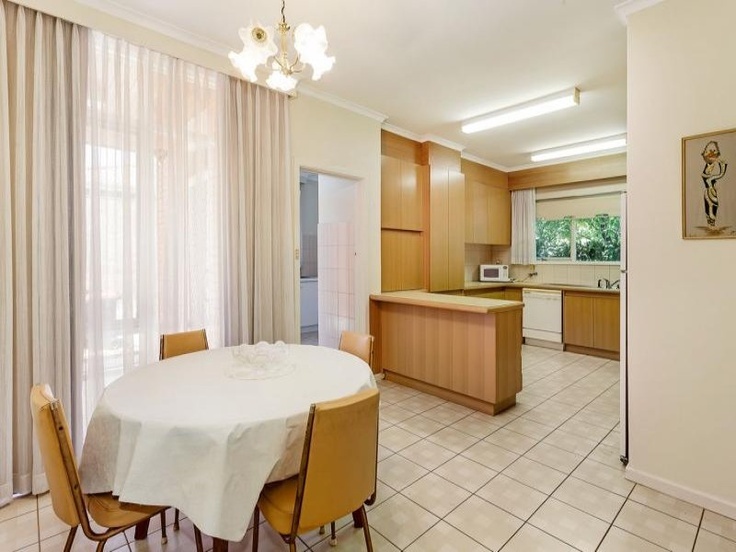 This home in Caulfield is in pretty good nick however, and looks pretty amazing with the original furniture, kitchen cabinetry, floors and tiling! 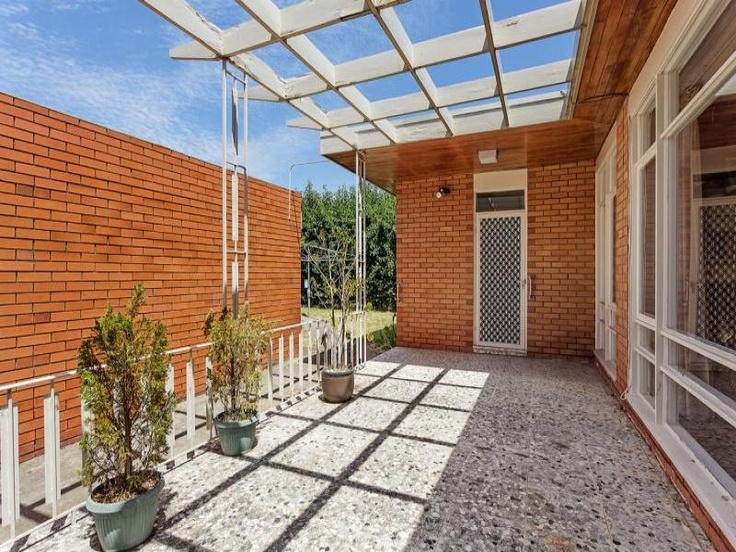 The back verandah features some pretty cool polished pavers which work as a nice contrast to the brickwork and the metal balustrade and columns are a key element of minimal MCM design. 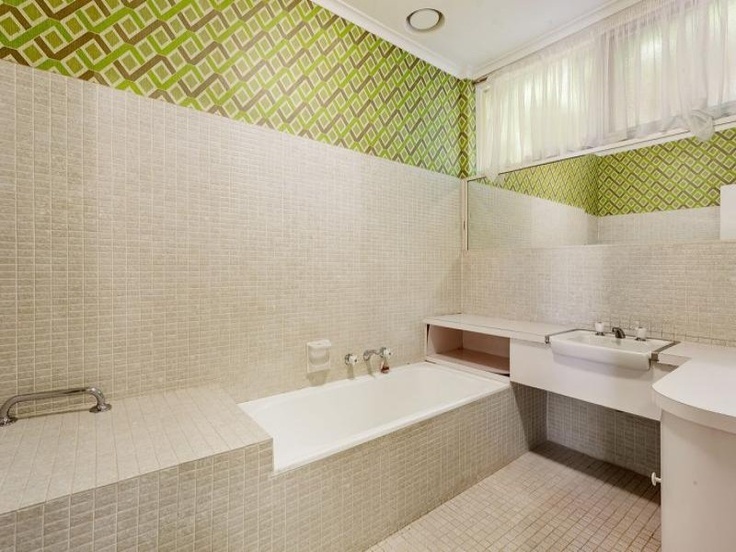 A great place to start (or continue) your love for MCM design! Yep loving the furniture. Is that being sold too? Not sure about the chandeliers though. A through back from an 80″s update perhaps ? It would definitely be worth the question to the estate agent. The matching blue lounge and dining chairs seem to work so well in that room! The chandeliers are a bit tacky for me too, but could easily be replace by some great MCM fittings.